Nordic Red is a marvellous sounding ReFill based on samples from the Nord Modular G2X Synthesizer. ‘Prepare yourself for a journey where your creativity can reach new levels’ – this statement from the ‘Welcome’ section of the G2 manual is a perfect description of what you can expect from the Nordic Red ReFill. 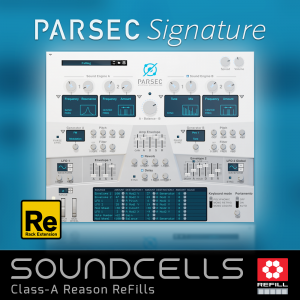 The ability to create an unlimited range of individual sounds will not only provide you with ‘otherworldly’ atmospheric stuff, the deepest textures and great keys, but also with surprisingly ‘in-your-face’ bass patches and wonderful pads when diving into this ReFill. The ‘self-playing’ patches (called ‘Noodles’ in the G2), for example, are great starting points to create some ultra-deep atmospheric textures – an ideal entry for composing film scores or game music. Or simply pitch down the samples to listen to the ‘hidden magic’ inside these up to 90 seconds long ‘Noodle’ recordings. As usual, the combinator buttons and knobs were carefully assigned to allow dramatic changes to the default sounds you’ll be hearing initially. • 192 NNXT patches containing the basic patches which were used to build the combinators. • 800+ samples, 1.65 GB uncompressed: 47 ‘self-playing‘ recordings (up to 90 seconds), basses, nature-like textures, keys, pads. This was my first Soundcells purchase, which got me hopelessly hooked to Harald’s sampling universe! 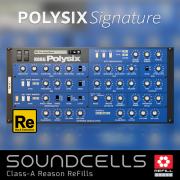 I’ve always deeply admired Nord synths, but never had the wallet for such keyboards … so this Refill is a nice introduction into the Nord signature sound! 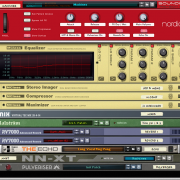 There’s not too much content here, but the price is very reasonable, so I have no complaints … but I so desperately want much more access to the Nord synths,in hopefully … a much larger sound library … in the future?? 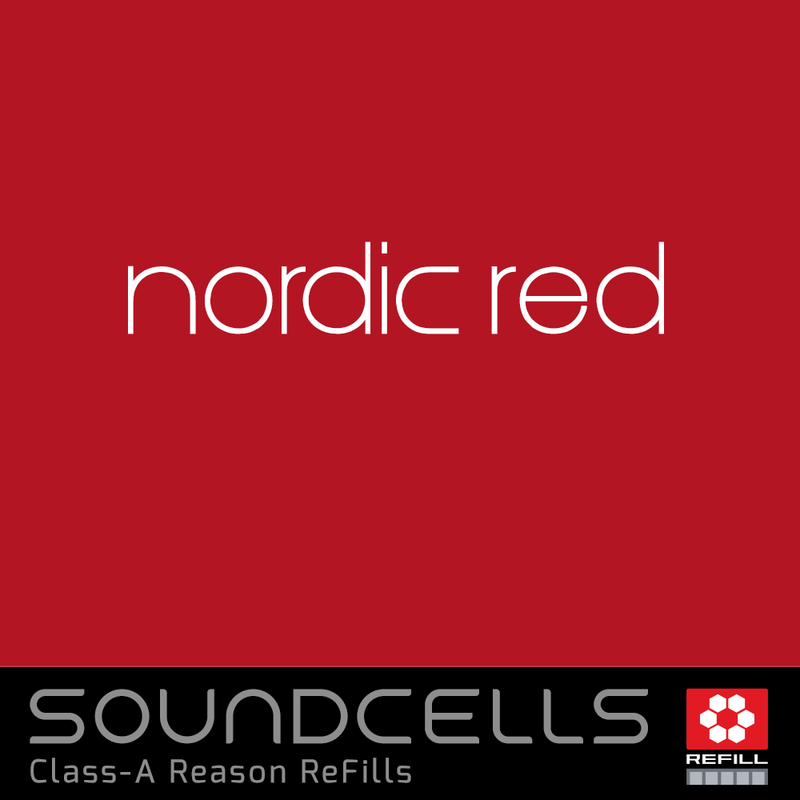 Nordic red is quite simply a stunning refill. 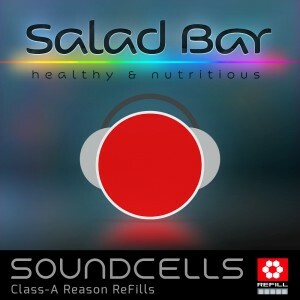 The quality is very high – As I have come to expect from Soundcells and there is a great variety of sounds. I’m a sucker for nice “keys” patches and in particular a good piano – whether it be synthetic, natural, electric or acoustic – grand, upright or toy, and the “Classic-G2 Piano” patch is right up my street. Worth the asking price for that patch alone. A friend’s studio had the Nord Modular synth and I enjoyed the versatility and unique flavours. 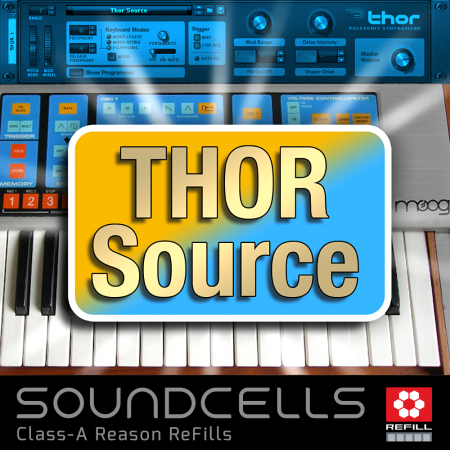 Harald has created a great refill true to these sounds and very usable in a wide range of music. The consistency of quality throughout is impressive. Keep up the great work! 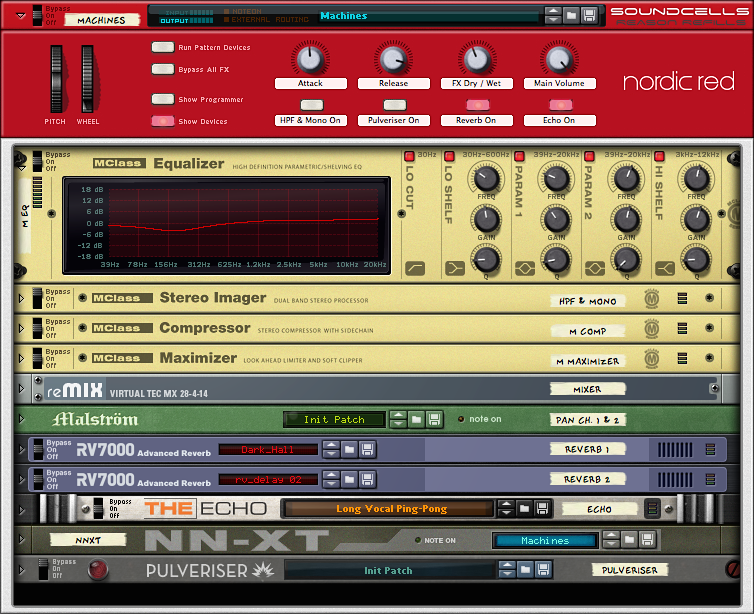 perfect dynamic clean sounds …. the best for Reason …. 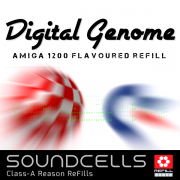 Modular synthetic sounds combined with waves … I love the refill …. great work …… the refill is worth the money !!! 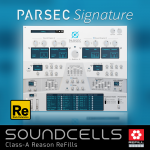 perfekte dynamische klare Sounds….das beste für Reason…. 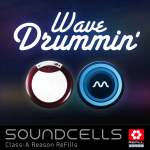 Modulare syntetische Sounds vereinigt mit waves …ich liebe das Refill…. tolle Arbeit……das Refill ist das Geld wert !! !